"Color me your color baby. 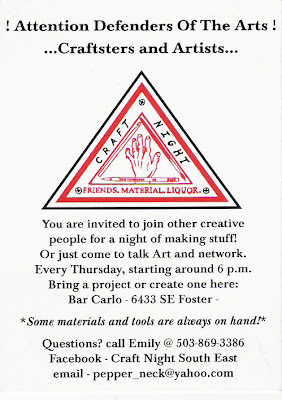 . ."
In December I started attending a Craft Night at a local bar. It is a very loose and diverse group of neighborhood folks in wide ranging age and style. Back in January, they handed out Bic '4-click' pens to everyone and asked us to create work for an upcoming show at the Bar. I hadn't seen one of those pens since I was a teenager and it really threw me back! My mom always had those pens lying around the house (she used them for work). When I got the pen, I felt like I was 15 again; lying on the kitchen floor under our table, talking on our old black rotary phone and thoughtlessly doodling on the mail. I have been wanting to do autobiographical work for some time and this all hit me as the thing to do. The piece is a cloud of memories from 1981 -which was a pivotal year for me as I transitioned from a scrappy young New Waver to a promiscuous punker. The images may seem goofy and random, but they are all significant to me from that time. I have been working very hard on this as it feels very important to me to do. I have not really sketched or drawn since I left school in '98. Over the years I have built up a massive block over it! When I got laid off 3 yrs ago and started to make art again, I very purposely avoided drawing every way I could, terrified of it. I crafted skulls and robots out of wood and accessorized them instead. I've played with collage and mixed-media, but I didn't start drawing until I started going to this craft night where I suddenly felt inspired by the fun, free-form, non-judgmental, like-minded creative community there. It has turned into a powerful support group for me! I can't tell you how good it feels to simply draw again, so silly to have let it slip all those years. It may not look/seem like much, but it is a big step back into who I used to be. . . and hope I can still be again. 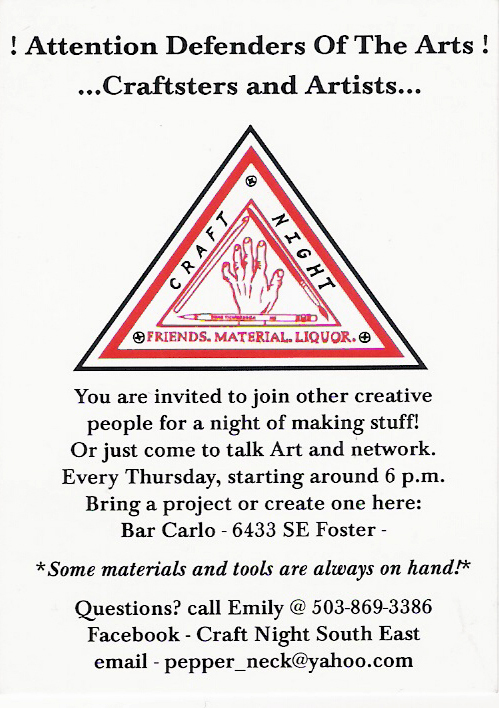 Craft Night South East happens every Thursday. Check it out!